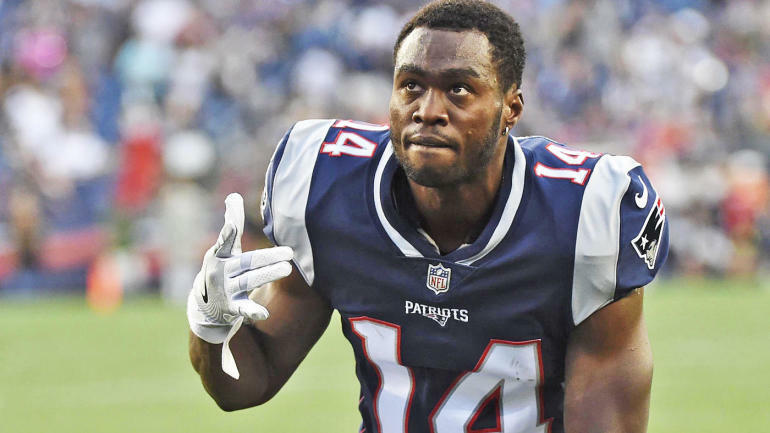 Brandin Cooks is an American football player who came aboard the National Football League (NFL) after he was drafted by the New Orleans Saints in the 2014 NFL Draft. Before the NFL, the wide receiver played college football with the Oregon State Beavers football team and established himself as one of the best receivers in the history of the institution. It’s about half a decade the player began playing professionally and just as fine wine gets sweeter with the passage of time, Brandin gets better on the gridiron. The wide receiver was born as Brandin Tawan Cooks on September 25, 1993, in Stockton, California, where he attended Lincoln High School and played football for the Trojans. In addition to football, he also played basketball and ran track. Brandin Cooks was ranked as the 26th-best wide receiver and the 240th overall prospect in his class by the Rivals.com. At the completion of his high school education, he initially committed to the University of California, Los Angeles (UCLA) but later changed to Oregon State University where he ran track and played football from 2011 to 2013 under head coach Mike Riley. During his freshman year, he played all 12 games, starting three. Paired with Markus Wheaton, Cooks made history in the school as the duo became one of the most dynamic receiving pairs, combining for 158 receptions, 2,395 yards, and 16 touchdowns in the 2012 season. He recorded 128 receptions and 1,730 receiving yards (both Pac-12 records) in his junior year in 2013 and also made 16 touchdowns. By the close of the 2013 season, Brandin Cooks won the Fred Biletnikoff Award and was named a consensus All-American. He later chose to forgo his senior season in favor of the 2014 NFL Draft. During the draft, Brandin was selected in the first round by the New Orleans Saints as the 20th overall pick. On May 18, 2014, he signed a four-year, $8.3 million contract with the team. During his last season with the Saints, the New England Patriots traded two of their players to the Saints for Brandin Cooks and a 2017 draft fourth-round pick and on April 3, 2018, the New England Patriots traded Cooks to the Los Angeles Rams. 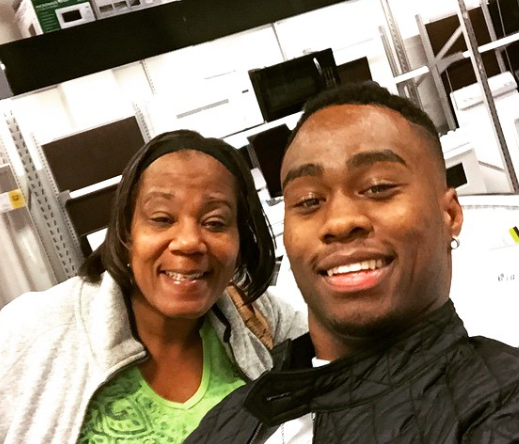 Brandin Cooks is the son of Worth Cooks (father) and Andrea Cooks (mother). He is the youngest of four brothers – Fred, Worth Jr., and Andre- who are very close to their father, a former Marine-turned-bounty hunter. According to the player’s mom, Brandin would rush home from school and go in search of his father who liked to race his boys and entertain them with stories from his youth. Unfortunately, the tight-knit group was hit with the death of their father when Brandin was just 6. Worth Cooks Snr. died of a heart attack at their home in Stockton some days after he agreed to go for surgery. He had said he wanted to watch his boys grow up but at 48 years old, he died in his wife’s arms on the floor of their living room and from that day forward, everything changed. Each member of the family struggled with the loss of their father in different ways. The first son, Fred, who was already out of the house, kept working hard and helping when he could. Worth Jr. became a father at the age of 15 and almost did not finish high school while Andre, Brandin’s closest pal while growing up, was in and out of prison. His mother, who was already working at a shipping and receiving warehouse, took another job at an after-school program, in a bid to fill the vacuum created by her husband’s loss. Because Brandin was very young and never really understood the weight of what was happening with his dad’s death, he turned out to be the only one who was not permanently scarred by the incident. He continued enjoying the pleasure of his beloved sports – football- with his brothers encouraging him incessantly. “I used to tell him, don’t be like me, Don’t be like us. You can be the one that’s different”, said Worth. And yes, Brandin took the advice, becoming the first in his family to go to college. According to his brother Andre, Brandin inspires him. He was always the most ambitious of them all, had a definite path from the word go and they all knew he was the one who was going to make it. As kids, Brandin and Andre were partners in ‘vice and virtue’. They got into a whole lot of trouble and while serving punishment by kneeling in a corner of their mom’s room, Andre, the comedian in the family, would whisper jokes to his brother, who always found it impossible to hold in his giggles. The brothers are so close that when Andre was sent back to jail, just before a major college game, the family decided not to tell Brandin until after the game, knowing that the news would affect him badly. Some players are motivated by money but Brandin’s motivation comes from wanting to make his family proud by doing right. Before he got into the NFL, he looked forward to the day he would be able to appreciate his mom for her love and sacrifices and that day finally came when he made $100,000 from Adidas for running the fastest 40 at the NFL combine while wearing their cleats. With the money, he bought his mom a new Mercedes-Benz GLK 350 in April 2014. The star footballer is in a relationship with Briannon Lepman, daughter of Carolyn Marie and Spencer Lepman. She has one sister named Brittany Lepman. The pretty lady born on September 28, 1992, in Corvallis, Oregon, met and started dating Brandin while they were both students at Oregon State University. There, she was part of the Cheerleading squad and was also a member of Alpha Gamma Delta sorority. Briannon, nicknamed the Lady Archer, graduated from the college with a degree in Kinesiology and now has a blog named “A Briutiful Life”. Speaking of herself on the blog, Briannon said she is a follower of Christ. According to her, the purpose of the blog is to share with her viewers how she navigates through her daily activities through detailed pictures. And yes, she is a passionate photographer with Cooks as her source of inspiration. For some people, college relationship does not survive beyond college days but not so for Brandin and Briannon. They were very much in love with each other way back in school and even after then, their bond only grew stronger with Briannon supporting her man in his career and even standing solidly beside him when he was drafted by the Saints. During his offseason vacation in the Hawaiian island of Maui, the footballer proposed to Briannon on June 22, 2017, and she said yes. On July 7, 2018, they got wedded. The wide receiver fills a room with his smile and laughs although he is barely 5 feet 10 inches (1.78 m) tall and weighs 183 lb (83 kg).